People assigned to the facility — sometimes numbering 250 or more — have contracts lasting 12 to 15 months and typically leave after that duration, the sources said. They're hired by Apex Systems, which staffs the Hammerwood building along with other Apple mapping offices. 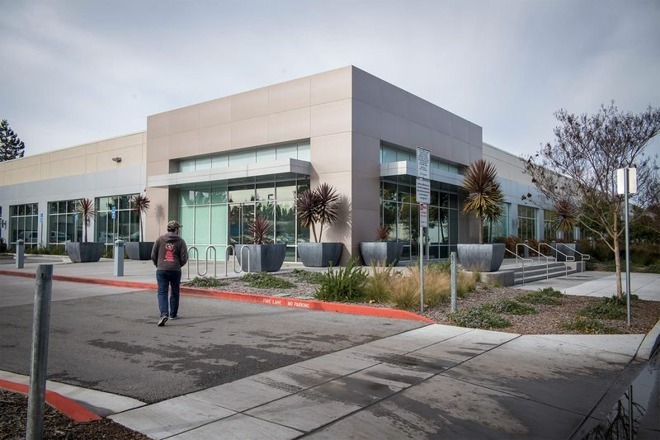 Some of the people hired by Apex said they joined with the hope of securing a full-time job at Apple, something Apex hyped, only to find the odds were slim. Apple is even said to be reducing the number of conversions to full-time as its profits take a hit, and discouraging people from listing the company by name on their resumes — instead of "Apple via Apex Systems," LinkedIn profiles must allegedly say "A Major Tech Company Via Apex Systems." Other problems under Apex are said to include high health insurance premiums, and sudden changes in employment terms, such as a reduction in annual paid sick time from 48 hours to 24 hours — something workers were only warned about two days before the change took effect. In protest over a dozen staffers called in sick and left. Contracts are said to include several weeks of training followed by a test, which if failed results in immediate termination — a serious threat for people having to pay the high living expenses of California, and who may have made radical life changes on the assumption they had a stable job. Hammerwood wages are typically only $25 per hour, which would be generous in other states but in California are low enough that coworkers are sharing apartments and houses.